William H. “Bill” Fox Jr. forged a significant legacy during his 43-year association with the university. William H. Fox Jr., a university educator perhaps best known for his leadership in developing a creative and robust student affairs division at Emory University, died unexpectedly Friday evening at Emory University Hospital. William H. Fox Jr. was born Oct. 4, 1938, in Paris, Ark., the son of William and Mary Magdalene Fox. Fox is survived by his beloved wife, Carol Lewis Fox; his brother, James N. Fox (J’Laine) of Hot Springs Village, Ark. ; his brother-in-law, Gene Lewis (Ann) of Little Rock, Ark. ; and many cherished nieces and nephews. After earning a bachelor’s degree from Hendrix College, in Conway, Ark., and a master of divinity degree from the Southern Methodist University in Dallas, Fox arrived on the Emory campus in 1971 to pursue a doctorate in religion and literature. He began his administrative career at Emory in 1974 as an assistant director in the Graduate Institute of Liberal Arts, and he completed his Ph.D. in 1979. As an Emory student, alumnus, staff member, administrator and benefactor, "Bill," as everyone knew him, forged a significant legacy during his 43-year association with the university. On stepping down at Emory in 2005, Fox reflected on the deep connection to the university that had motivated his work through the years. "When I came to Emory, I found a place that held, at its deepest core, values that were similar to my own" Fox told Emory Magazine. "That alignment has been magic to me all these years." Emory President James Wagner commented on the loss of one of Emory’s most devoted alumni. "Bill Fox earned the affection and gratitude of the entire Emory community through his remarkable spirit and exemplary love of his alma mater. He left an indelible mark that will endure for a long time to come." In 1979, Fox was appointed Emory’s second dean of campus life; he was promoted to vice president three years later. For students on the campus throughout the next decade, Fox was Emory University. He connected with thousands of students on a personal level, taking care to remember names and faces even of those who were merely passing through his office. 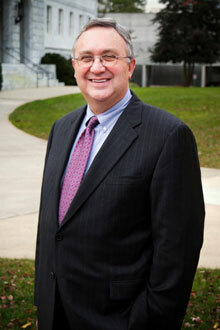 In 1991, when the university’s chief development officer left in the middle of a capital campaign, then-President of Emory James T. Laney persuaded Fox to assume the leadership of Emory’s Office of Institutional Advancement (now the Division of Development and Alumni Relations and the Division of Communications and Marketing). Fox’s knowledge of the thousands of alumni who had graduated in the previous 12 years helped him guide the completion of a campaign that raised $420 million for the university. During his 14-year tenure as chief fundraiser, Emory raised some $2 billion in gifts, pledges and planned gifts. Laney, now president emeritus of Emory, said, "Bill Fox was without peer in student affairs, beloved by generations of Emory students and alumni. Later he led Emory's capital campaign to new heights, winning friends for the university across Atlanta and the nation. He brought an incandescent joy to all he did and to all who knew him." "It’s just been exciting being part of an Emory that became nationally and internationally known and one of the top schools in the world," Fox later said. Fox was quick to credit his wife, Carol, for his achievements, calling her the "unsung hero" of his work at Emory. After his retirement, the university named the Center for Humanistic Inquiry for Bill and Carol Fox as a tribute to their long and devoted service to Emory. The Bill and Carol Fox Center for Humanistic Inquiry at Emory College of Arts and Sciences offers fellowship programs and hosts conferences, seminars and lectures to advance research and teaching in the humanities. In 2007 the university awarded Bill Fox its highest alumni honor, the Emory Medal, which recognizes distinguished service to Emory, to the community or to education, business, the arts or the professions. Much of Emory’s campus bears Fox’s imprint. He oversaw the planning and opening of the Woodruff Physical Education Center and the Howard R. Dobbs University Center, hubs of activity for the Emory community. Volunteer Emory, one of the nation’s most active student service organizations, was created under Fox’s watch. Every year, he taught at least one class, usually introducing students to the religious insights of his favorite novels. "To see a student come alive to the love of literature is one of the most miraculous things a professor can witness," said Fox, who acquired his love of books at an early age from his mother, a schoolteacher. Fox served as a board member of the International Community School, The Lovett School, The George West Mental Health Foundation, Alliance Theater, Atlanta Fulton County Library Foundation, and as president of the Rollins Educational Initiative, a foundation that assists at-risk students. He was active in All Saints Episcopal Church in Atlanta and a member of the Piedmont Driving Club. In 2010, the Foxes established a bequest that will benefit six areas on campus close to their hearts. Half of the gift will go to the Fox Center for Humanistic Inquiry, while the rest will be divided equally among the James T. Laney School of Graduate Studies, the Division of Campus Life, the Robert W. Woodruff Library, the Michael C. Carlos Museum and the Emory Alumni Scholarship Fund. A memorial service will be held at All Saints Episcopal Church in Atlanta at 11 a.m. Tuesday, April 22, 2014, with a reception following in Ellis Hall. Gifts in memory of William H. Fox Jr. may be sent to the Office of Gift Records, Emory University, 1762 Clifton Rd. NE, Suite 1400, Atlanta, GA 30322 in support of The Bill and Carol Fox Center for Humanistic Inquiry, or to a charity of your choice.